Looking for a quick appetizer or dessert for Thanksgiving? 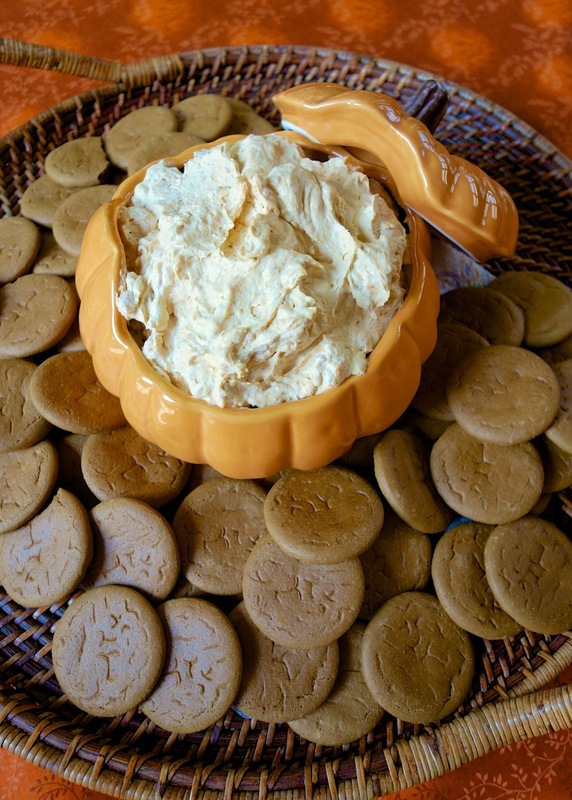 This Pumpkin Fluff fits the bill. I wouldn't classify myself as a pumpkin lover. I don't want to eat pumpkin pie, but I enjoy pumpkin baked into other treats. I was worried about trying this dip because the pumpkin isn't cooked. I put all my faith into the pudding mix and cool whip. They didn't let me down! This was great. This is also an easy recipe to lighten up with sugar-free pudding and fat-free cool whip. I know we are all watching our waistlines grow during the holidays! I served this with gingersnaps, but It would also be good with graham crackers or apples. Stir all ingredients until thoroughly combined. Chill until ready to serve. I like to serve this with gingersnaps, graham crackers or apple slices. Ooohhh, I'm taking this to Auburn for tailgating this weekend! This would be an AUsome tailgate snack! I know my grandkids will love this. It sounds delicious with gingersnaps. This sounds great! And I agree with the commenter above - it would be a good tailgating snack! It would! Easy and transports easily too! My grandson would like this I am sure. Has anyone tried any kind of substitute for Cool Whip? It is full of so many undesirable things! Would homemade whipped cream stand up to being mixed with the pumpkin? I haven't tried this with anything but Cool Whip. If you try whipped cream, let us know how it turns out. If you haven't ever tried the Nyakers gingersnaps from World Market, those are fantastic with this! I love World Market! 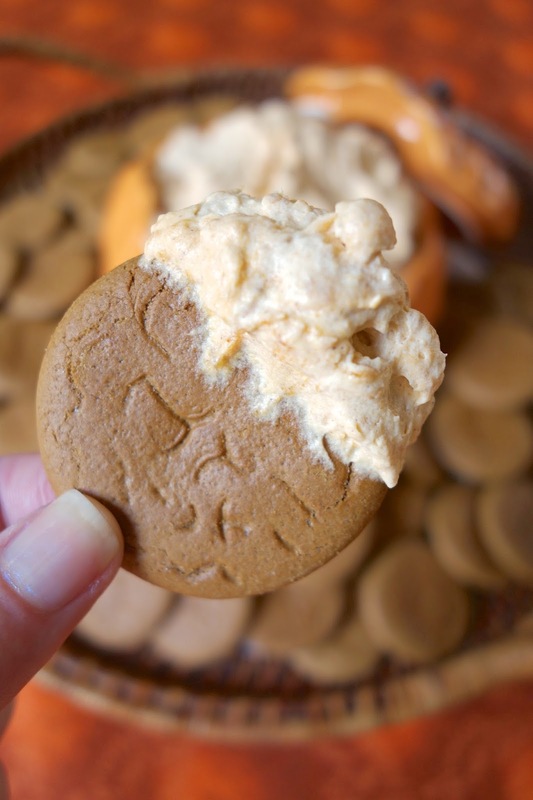 I will add those gingersnaps to my list - thanks! Do you use the pudding mix dry? or make the pudding first? the pudding mix is used dry. Do not make it first. thanks I was thinking it was dry.. hoping really cause i was in the middle of making it! Did you use pumpkin pie mix/filling, or simply pumpkin? And could you substitute regular pudding mix for the instant? Thanks! I used pumpkin purée not pie filling. You can try regular pudding, not sure how it will work. I've never tried it. Pumpkin + cool whip = one heck of a good time! Oh yeah that looks soooo good!! This looks awesome and yet pretty easy, too. Making this for a Pinterest party. Can it be made a day ahead? Absolutely! Hope everyone enjoys it!